The Virgin Founder's Life flashed before his eyes. Richard Branson is bruised and battered after crashing his bike in the Caribbean. 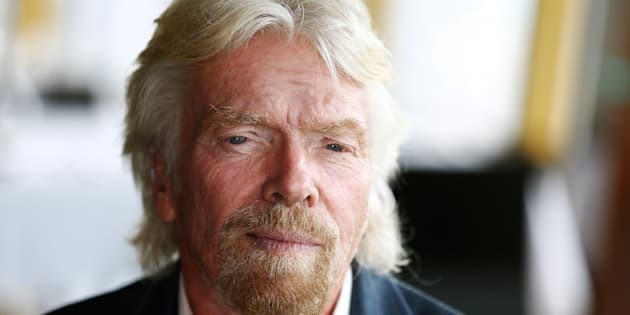 Billionaire businessman Sir Richard Branson has a brush with death after he was thrown off his bike in the Caribbean. The Virgin founder posted a number of pics of himself online after the bicycle crash, showing his battered face. Branson said he flew over the handlebars of his bike when he hit a speed hump in the middle of the road. He is also said to have suffered bad cuts to his knee, chin, shoulder and body in the accident. The incident took place on the Virgin Gorda, one of the British Virgin Islands in the Caribbean. Despite the close call, Branson seems to have retained his good humour, making light of the accident on social media.